This is the 16 count box Tip Collection line of boxes sold exclusively at Walmart. Who is Tip you ask? On the back the 2014 64 count box it says Tip is "more of a spirit than a person. In fact he so loved the creative energy in kids that he decided to take the form of a Crayola Crayon way back in 1903." That is the same year the first Crayola crayon was made! 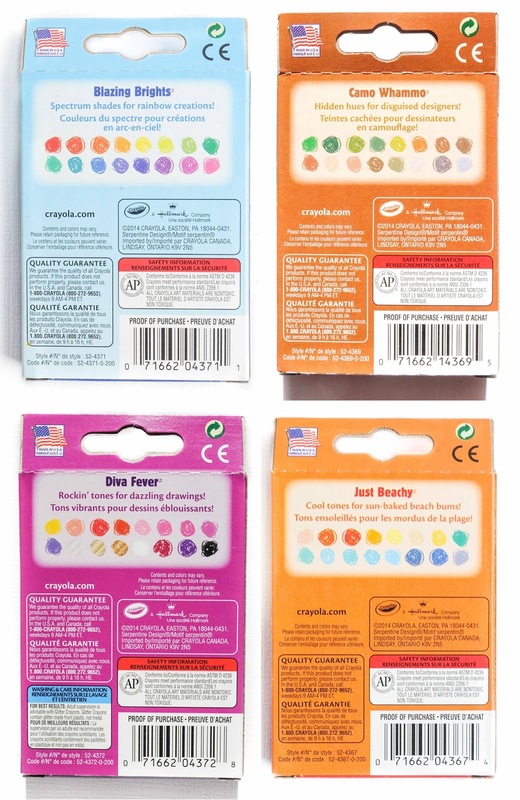 Crayola came out with the 16 count Tip Collection boxes a couple years after the Target "Pick Your Pack" boxes debuted in 2014. I have to admit I like collecting these ones slightly better. 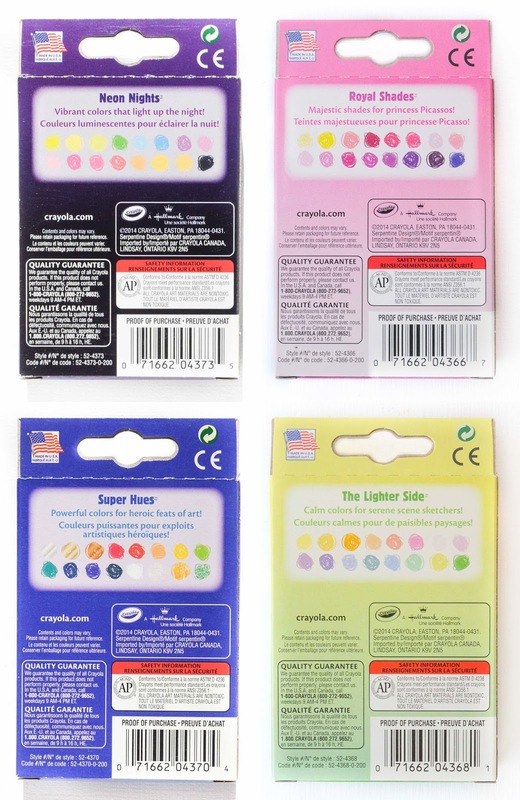 I like that these boxes are colored coordinated and they feature Tip on the box. I used to be obsessed with organizing my crayons by color. They came out with these 16 count boxes the year after the 8 count boxes were introduced.